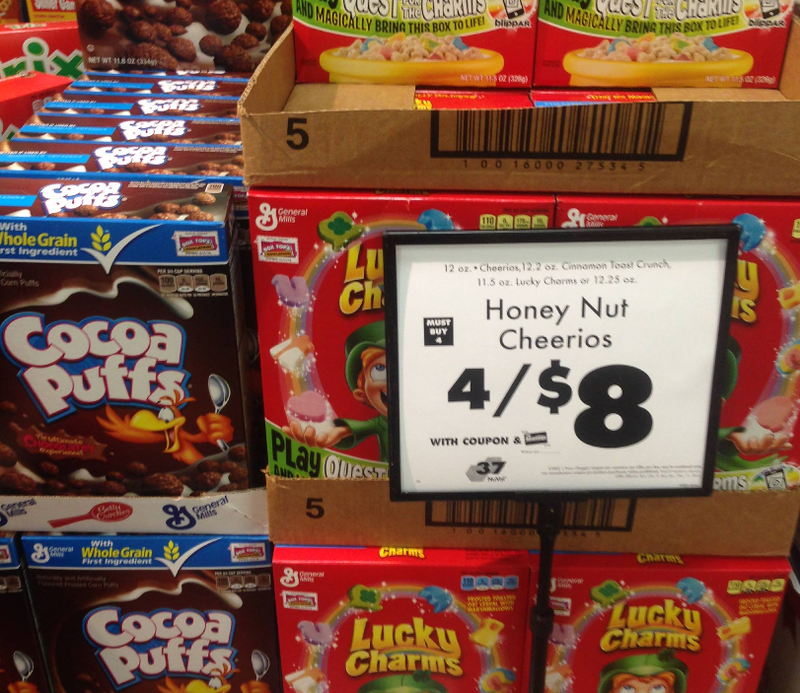 Price Chopper: Cocoa Puffs, Cheerios & Lucky Charms $0.50 Each! + 4/$8 in ad bonus coupon = $0.50! 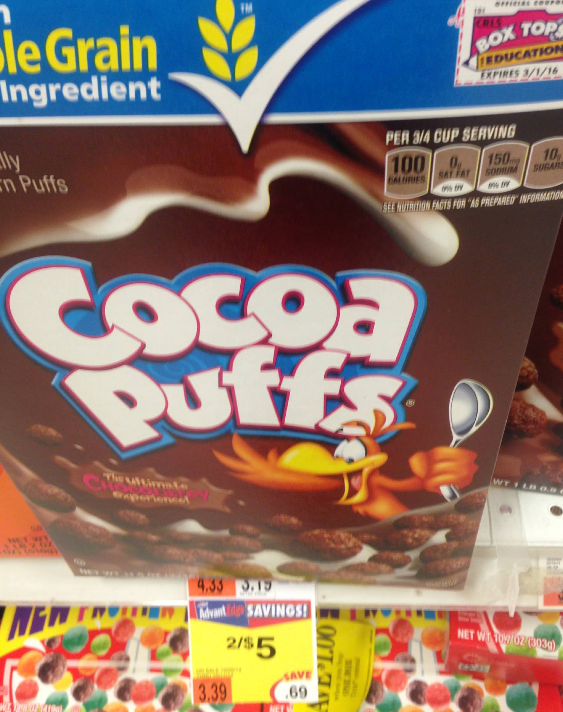 How do you know cocoa puffs are included? The coupons in VT don't say cocoa puffs. I would LOVE them to be included. Ours doesn't either but they often include other varieties in the sale that are valid for the in ad coupon because (& this is per PC as I've called about it) they just don't have room to list them all on the in ad coupon. Also the Cocoa Puffs are included on the endcap and/or in front of store sign displays as part of $4/6 w/ in ad coupon deal this week. If a store ever questions it for anyone the cereal in question being included under the 4/$6 sign/display is a great thing to show them to let them know that it's included.